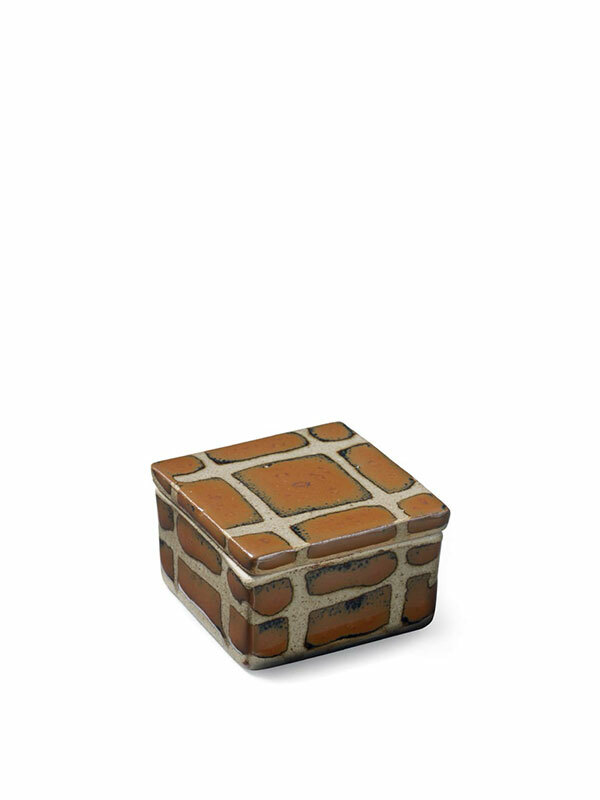 A small stoneware box of rectangular form, the exterior covered in a neatly applied brown glaze with cream slip, forming a cross or grid pattern to the flat top that extends to the straight sides. The flat base is unglazed. The box is contained within the original wood tomobako, the inside of the lid carrying the artist’s seal: Sho of Shoji and the inscription Mashiko.